SnapCacklePop: NEWS ALERT - Iggy Azalea and Jennifer Hudson perform on Jimmy Fallon..! 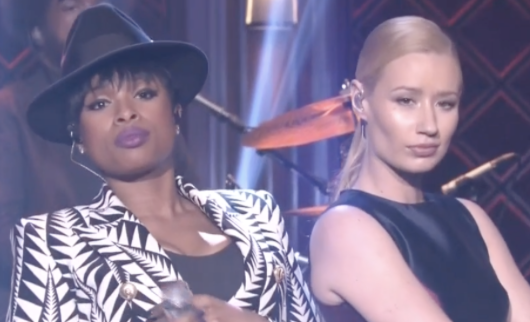 NEWS ALERT - Iggy Azalea and Jennifer Hudson perform on Jimmy Fallon..! The Dreamgirl and the Fancy singer joined forces on the TonightShow Starring Jimmy Fallon to perform the new single, taken from Iggy’s Reclassifed album. The certainly brought the sexiness to the stage for this uptempo number. Check it out below and grab your copy on iTunes now..!